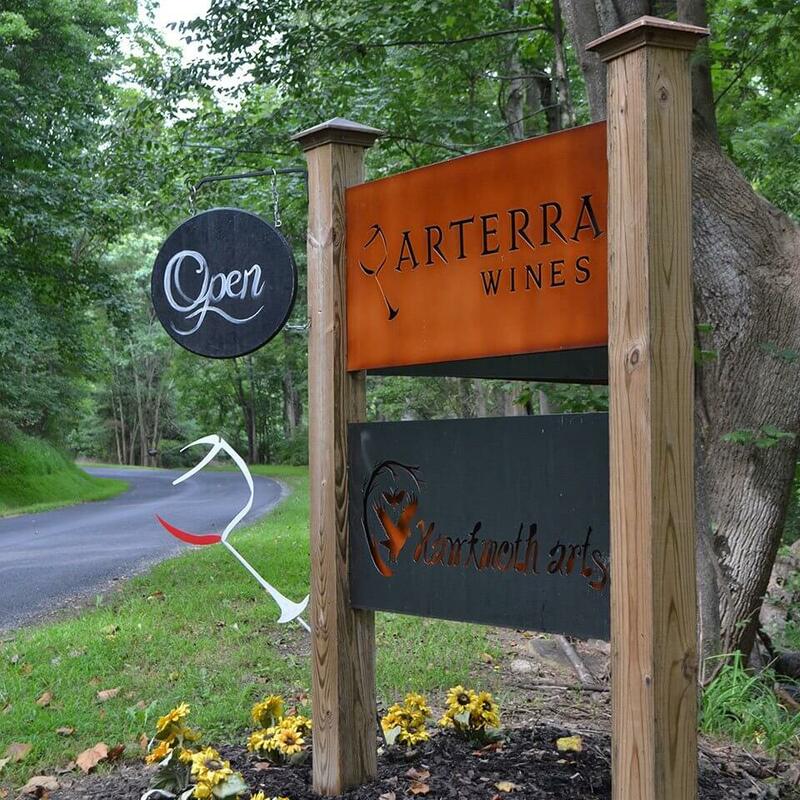 Visiting Arterra - Wine Tastings, Reservations, Directions and more. We welcome you to come discover what makes us truly unique. Step away from the hustle of life and enjoy a pause at our beautifully wooded 75 acres. We do not have food service, but we do provide some snack food. You are welcome to bring your own food. There is no smoking anywhere there are customers (including vapes). 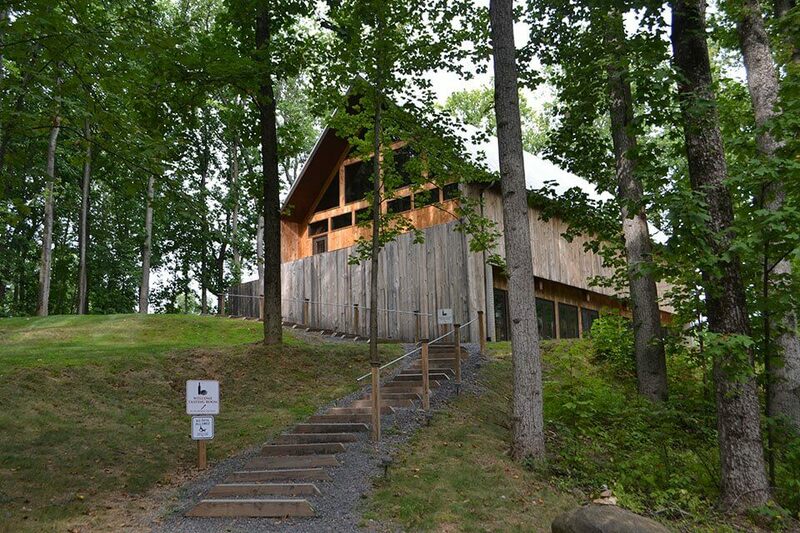 This includes inside, on the patio or in the picnic area. No buses or limos without an approved reservation. Dogs are welcome in the picnic area only and must be on a leash and with an owner at all times. Children are welcome with a reminder that our facility is an adult experience. Monday – Thursday: approved reservation required. Our tasting staff is highly trained to offer you an educational tasting experience. 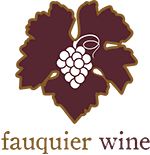 Our tasting fee is $10.00 for any 5 wines, additional tastes available for $2.00 each. Group tastings (10 or more: requires a reservation) are $15.00 for 7+ wines. Please call ahead for reservations for groups of 10 or more or a tasting Monday-Thursday. 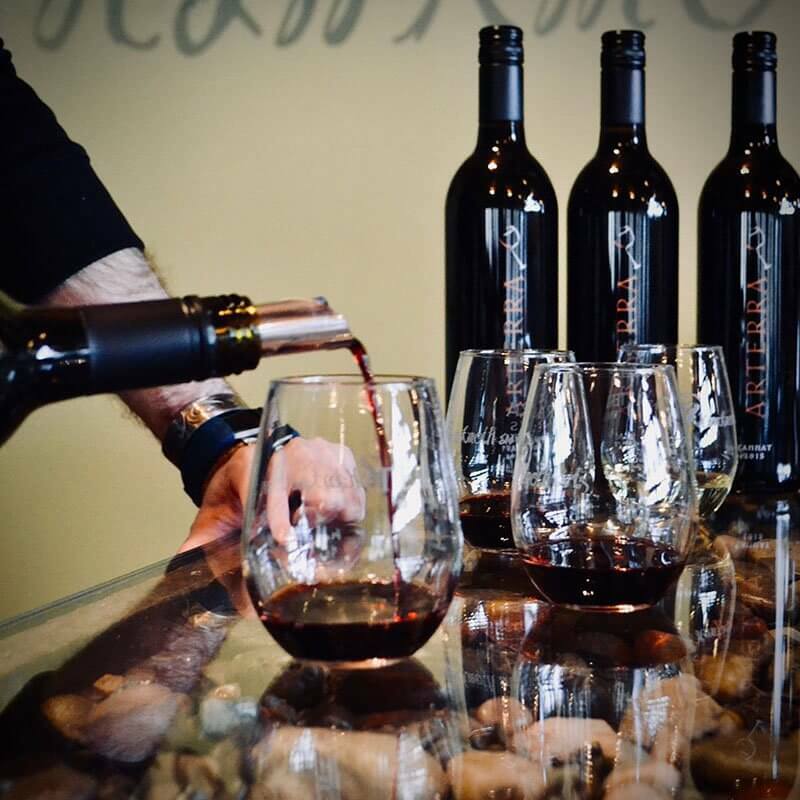 We offer a rewards program to our loyal customers, please visit us in the tasting room to learn more.